For this week’s exclusive offer Rewarding Times has teamed up with beautiful Powerscourt Estate in County Wicklow to offer you half price entry for two adults into Powerscourt Gardens and Waterfall, along with a €20 voucher for Powerscourt Garden Pavilion – all for only €25. Want to bring the children too? 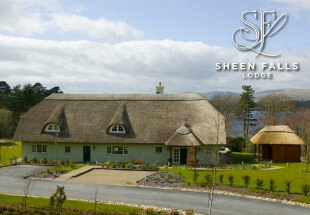 Payable on arrival at the estate, kids under 13 are €3.50 per child to the Waterfall, and €5 per child to the Gardens. Under 2’s to the Waterfall and under 5’s to the Gardens are free of charge. 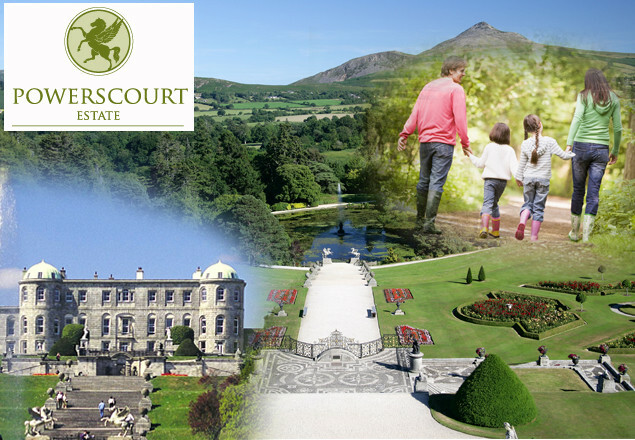 Enjoy a great family day out at Powerscourt, Ireland’s most beautiful and intriguing estate. Voted No.3 in the world’s top ten gardens by National Geographic Powerscourt Gardens stretch over 47 acres and offer magnificent countryside views. 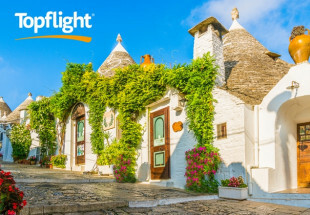 Explore Italian and Japanese Gardens, rose gardens and rambling wooded walks. Families will enjoy visiting the pet cemetery and climbing to the top of the Pepperpot Tower. After strolling the gardens relax at the Avoca terrace café in Powerscourt House. Powerscourt is the perfect place for autumn strolls. Surround yourself with hundreds of trees, the relaxing sounds of nature and go wildlife spotting. Pose for family photos by the waterfall and listen to the River Dargle as it plunges over the Waterfall. Walk along the woodland pathways and relax at the children’s playground. Families are welcome to picnic or BBQ at the waterfall and make a day of it. Set in the magnificent 1,000 acre Powerscourt Estate, Powerscourt Garden Pavilion boasts one of the most scenic and relaxing shopping experiences in Ireland. Create your own miniature Powerscourt Gardens at home with their horticulturalists’ selection of plants, bulbs and beautiful planters and pots. Their lifestyle centre offers beautiful homewares, quirky gifts and great ideas to accessorise your indoor space. 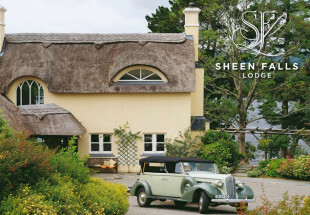 You must present your printed voucher on arrival at Powerscourt Gardens, Waterfall and Garden Pavilion. The voucher is valid from 29th August 2016 until 3rd December 2016. A maximum of 2 vouchers per person may be purchased. Additional vouchers purchased by the same person will not be accepted. This offer is not valid in conjunction with any other offer or on sale items. Entry to Powerscourt Waterfall for children under 13 is €3.50 each (Children under 2 years of age are free). Entry to Powerscourt Gardens for children under 13 is €5 each (Children under 5 years of age are free).